This piece from Pfister has an all-around look that works well with many bathroom styles. You'll enjoy the easy use and modern design of this single-control faucet. Its deck mounted design works well with many different sinks and is easy to set up. This WaterSense certified faucet helps save water, money, and the environment. Make your bathroom look like new with this chic, useful piece from Delta. Give your bathroom a brand new look in no time with this single-control faucet. This item's deck mounted design completes your bathroom with quick and easy set up. This WaterSense certified faucet uses less water but gives you the same clean every time. This new piece from Fresca brings fresh water fast and adds a stylish look to any bathroom. If you want to renew the look of your bathroom, this single-control faucet is perfect. Make your sink look even more beautiful with this item's easy-to-install deck mounted design. This faucet is WaterSense certified so it uses less water and energy. This new piece from Pfister brings fresh water fast and adds a stylish look to any bathroom. Finish up your bathroom remodel with this beautiful single-control faucet. Make your sink look even more beautiful with this item's easy-to-install deck mounted design. Save water and get the same clean with this WaterSense certified faucet. Brea Single Hole 1-Handle Low Arc Waterfall-Flow Bathroom Faucet in Chrome with Lever Handle This piece from Pfister has an all-around look that works well with many bathroom styles. 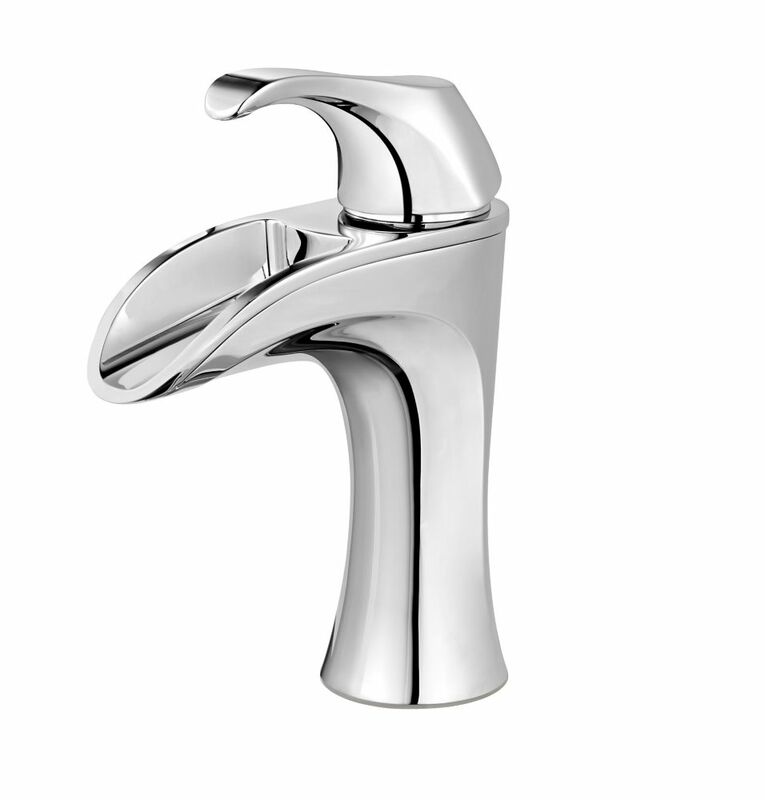 You'll enjoy the easy use and modern design of this single-control faucet. Its deck mounted design works well with many different sinks and is easy to set up. This WaterSense certified faucet helps save water, money, and the environment.